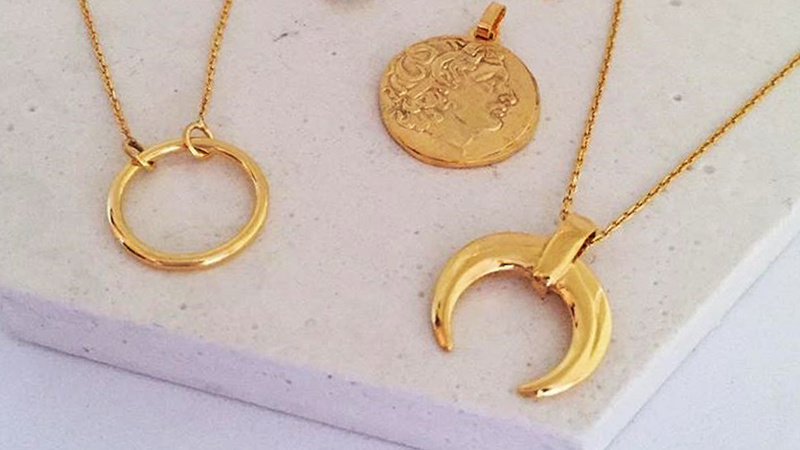 The jewelry designer is celebrating her 10th anniversary in the business. Disregard any preconceived notions about accessories being just an after-thought because truth is, jewelry speaks a certain language: It’s the perfect finishing touch that polishes and personalizes a look, it tells a story, and it’s almost always linked to milestones in one’s life. Indeed, it’s that opulent extra that makes you feel empowered. 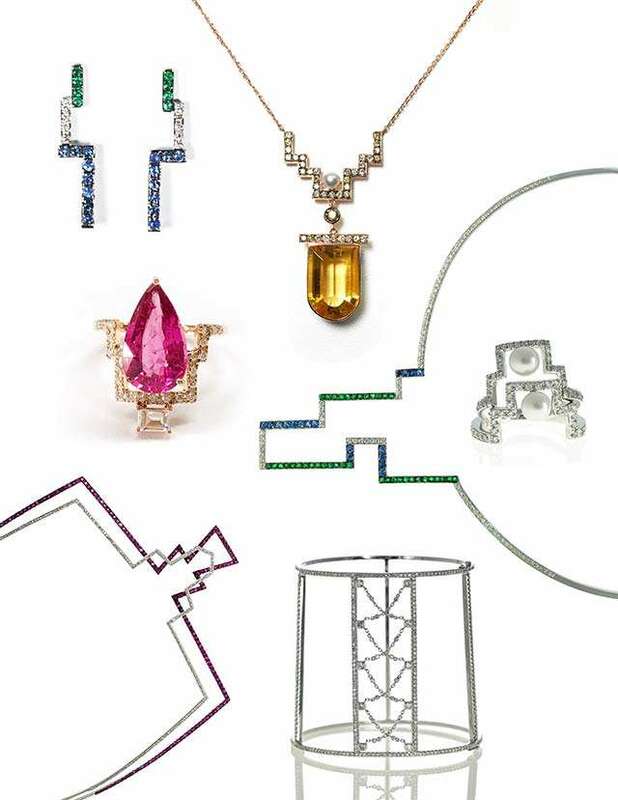 And who better to tell us that “it’s all in the details”—a maxim never so true as in fashion—than someone who’s successfully delved into fine jewelry for a decade, Janina herself. 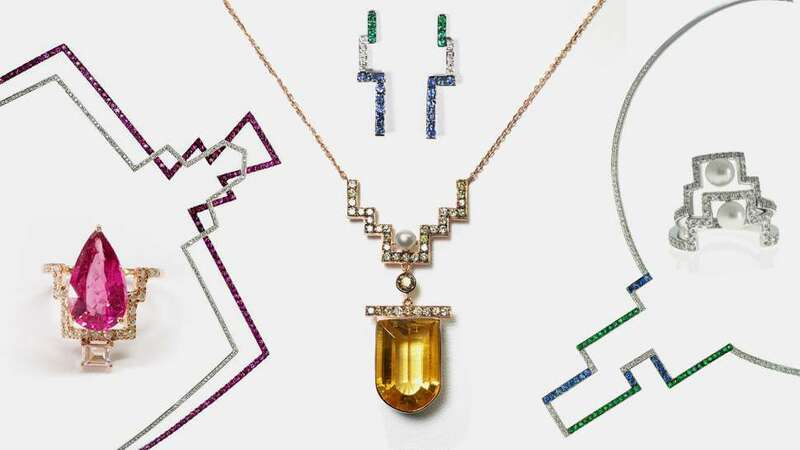 Janina is a third-generation jeweler known for crossing boundaries when it comes to aesthetics—mixing traditions from the East and the West. "The common bond in my designs is the fact that they are meant for strong, independent women who know exactly what they want," she shares. Perhaps, a reflection of her stylish life. She is, after all, a Preview Best Dressed lister. 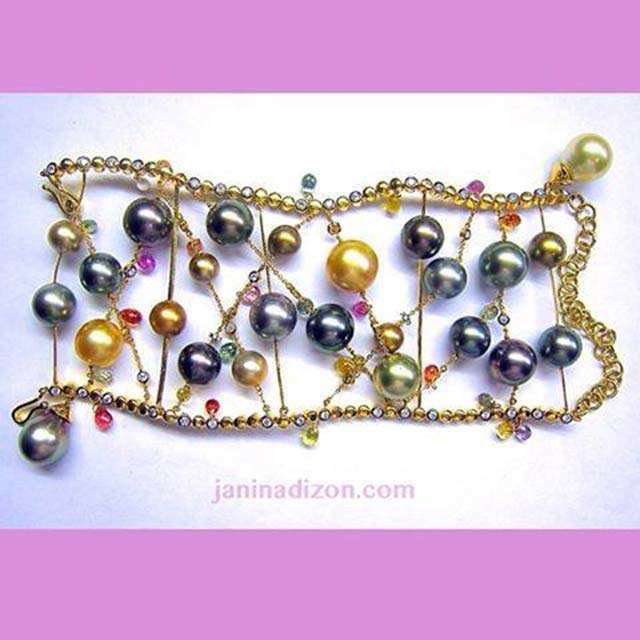 Today, we turn the spotlight on her as she celebrates 10 fruitful years in jewelry design with 10 capsule collections for JANINA for Jul Dizon, no less. Below, read as she shares her journey, lessons learned, and pieces of advice for up-and-coming designers. Briefly describe your jewelry design journey. "I only started realizing that jewelry design is my forte when Mom started making me enter international design contests and started winning at 18. Hence, the journey began. This whole anniversary project started a year ago when I started planning for my 10th anniversary. With the help of friends, we came up with Dekada—10 themes for my 10th year. It is not easy, I tell you, but I'm glad that we did see it through." What's the best advice you've received from your mom? "You only have one name, make sure you don't sully it. Integrity in everything you do. Be true to yourself. I can go on and on!" What are the top 10 favorite pieces you've designed and what makes each special? "1. 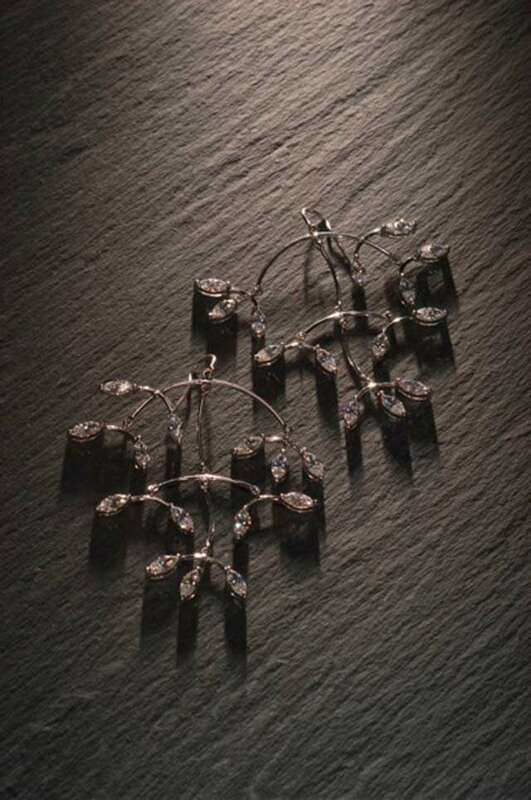 A pair of Alexander Calder-inspired diamond mobile earrings that won the Samshin Award in Korea in 2008. This was also an inspiration to do a series for this year's collection. "2. 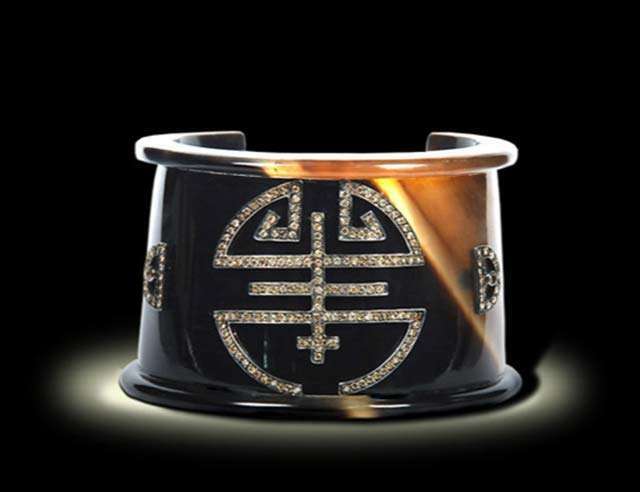 A carahorn bangle with the double happiness in diamonds. This was one of my first designs when I opened shop in 2007. "3. 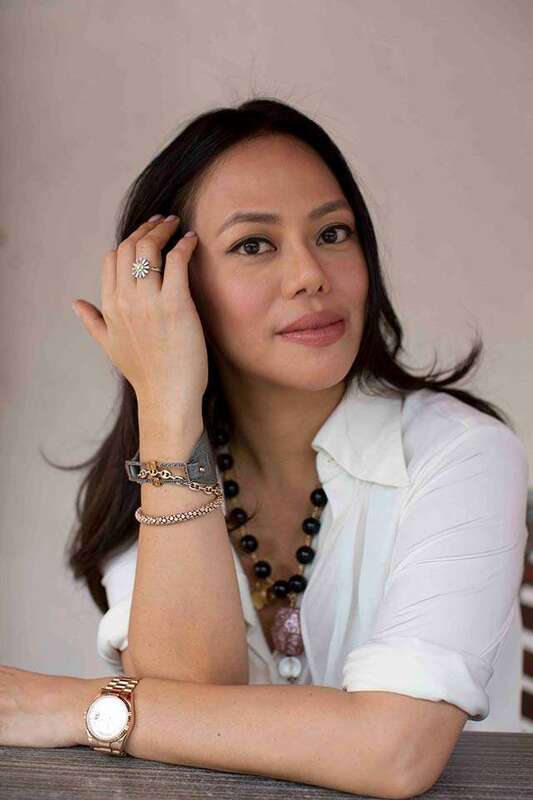 A pair of Transformer earrings on Ria Bolivar. This was my first ever catalogue cover and featured the dress it up, dress it down mainstay collection in 2009. "4. The Ascend. This collection came out this summer of 2017. A friend suggested the idea of step like designs and it echoed in what was my current situation, which is life is never a straight line. I love adding one or two more ascending rings to play with. "5. 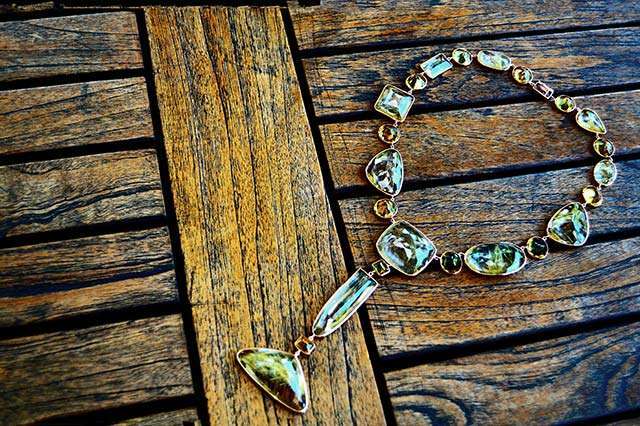 A necklace of rutilated quartz in pink gold. This was an ode to my Mom's award winning De Beers design made of apophylite crystals in 1994. "6. A pair of exceptional emerald cut and pear shaped diamonds. This was originally two earrings. However, my friend wanted to put them together so the combination and placement of diamonds was key in making this stunning pair of earrings. "7. The Galaxy bracelet. This was a finalist at the Perles de Tahiti Award in 2009. 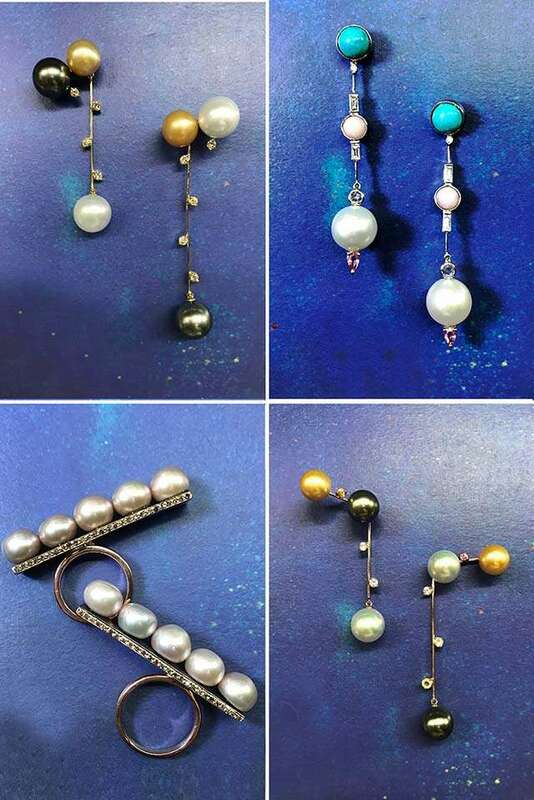 I wanted to play with the idea of different colored pearls with different colors to represent our solar system. I made sure it had a fun element as all too often pearls tend to get very serious. "8. The Jacquiline. This collection was created in 2013 named after my niece. A necklace that usually ends in tassels or drops wherein a detachable brooch/pin holds it together so the look is quite interchangeable. Another take on the Transformer line. "9. 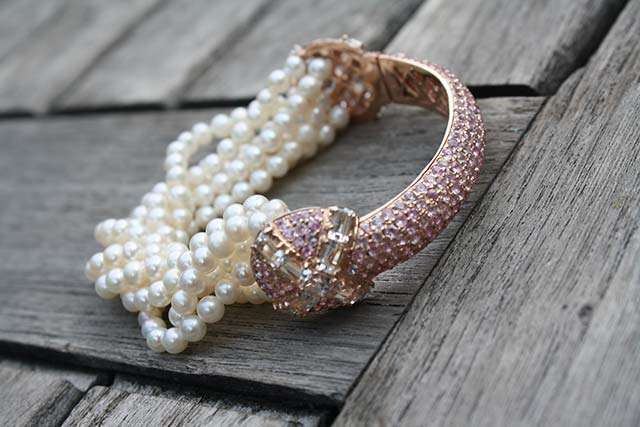 A pearl and pink sapphire bracelet. I love and collect vintage jewelry. This was inspired by the Art Deco era but instead of diamonds, I used pink sapphires to soften up the look of the bracelet and make it more casual. "10. The Cross. This was a selling exhibit held in Celestina in 2011. I have never designed crosses before and I remember being very happy that I was able to design 10 pieces in one day. This was my take on the Maltese cross." "Inspiration is everywhere! From the way a woman's uses her wrist, the flick of a hair, flooring, toys, nature and art—I believe that when you love design, then all you have to do is open your eyes and see the infinite goodness of the creative universe." How do you get in the zone when you have to design? How do you get unstuck creatively? "In designing, I've realized that for me, the best way is to just sit and let ideas course through me. I don't force it. I just let it happen. It was a bit frustrating at first when I started doing this 200 strong piece (of which 150 individual designs are mine) for nothing would come for months. But when it did, with the help of my loved ones and silencing the outside world, the pencil flowed on paper." 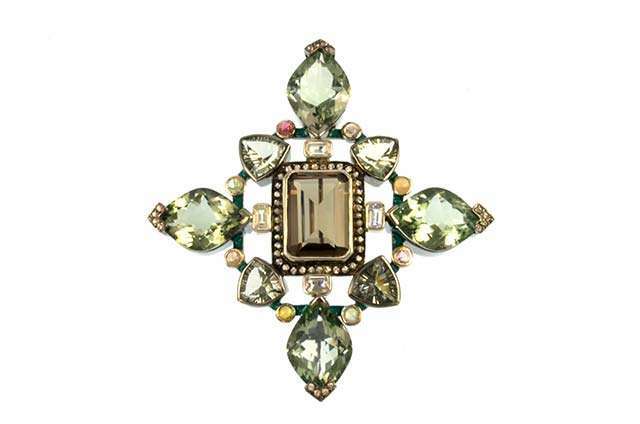 Do you have a most treasured item in your personal jewelry collection? Could you describe it? "There are many, many treasured items in my collection for each has a memorable story that comes with it. If you are a jewelry lover, big moments in our life usually gets commemorated with precious gems. 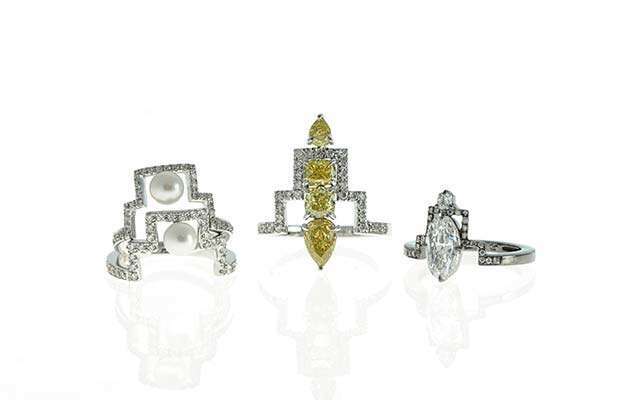 If you had to make me choose besides my own designs, I would say I love my estate jewelry finds, most especially the Victorian and Art deco period." Have you ever lost a most precious piece of jewelry? How did it happen and how did you get over it (if you ever did)? "Yes! Sadly, I was a victim of the Budol Budol gang where thieves call your landline and scare your kasambahays that you've been in an accident. I lost my wedding band, Grandfather's watch amongst many other valuable pieces. You really don't get over it but what I did was try to replicate or duplicate it as fast as I could so I wouldn’t feel the loss." What's the most important lesson you've learned in the last 10 years that you've been designing jewelry? "The most important lesson is how to keep your integrity while innovating. Do not remain stagnant and content with the status quo. It is also very important to have a proper business plan." What advice would you give to someone interested in getting into the jewelry design business? "Have a business plan for the next 5 years. It is important to be diligently organized and not lose track of your end goals. Do not let work become your life—have fun and take lots of me time for it is when your mind is relaxed that your best ideas come." Could you describe your latest collection? "Galaxy, a different take on pearls and astronomy. "Ascend, step-like designs because life is never a straight line. "Goddess, for mighty beings with incredible superpowers, also known as a woman. "Candy, who else would I name this for? Yes, I'm the best sister! Fun, flirty jewelry. "Buddha, my deep reverence to the faith. 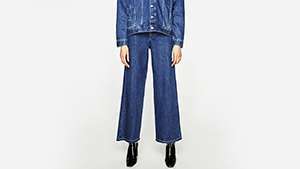 "Vintage, a selection devoted to my love for estate finds. "Kinetic, an ode to my favorite artist, Alexander Calder—my award winning design that won in Korea years ago. Sculptural kinetic earrings comprise this collectiom. "Transformer, one my most iconic designs for travel—earrings that you can dress up or down with simple attachments. "Kasal, my anticipated â€‹wedding line featuring the Morse codes, rose cuts and mixed shaped fancy colored diamondsâ€‹â€‹. "Exotic, probably what I am most known forâ€‹—crocodile, stingray and snake leather create dramatic background details to the gemstones on set." 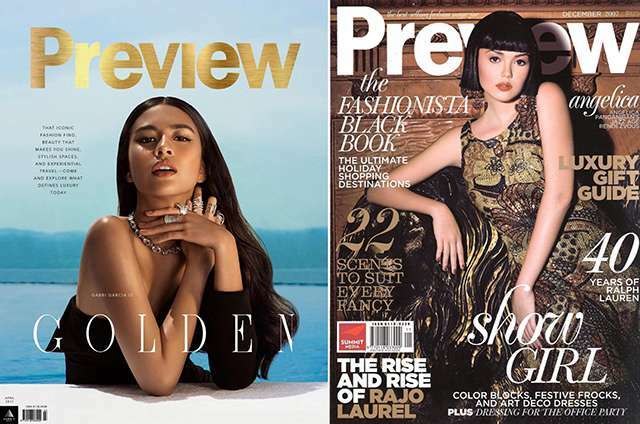 What's next for Janina Dizon? 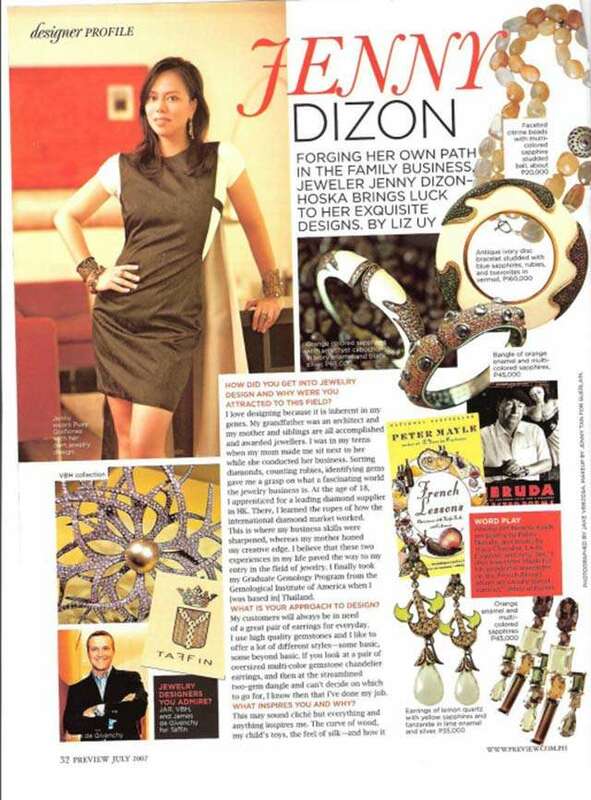 "We are gearing up for my mother company, Jul Dizon's 40th anniversary next year! Looking forward to exciting times ahead!" 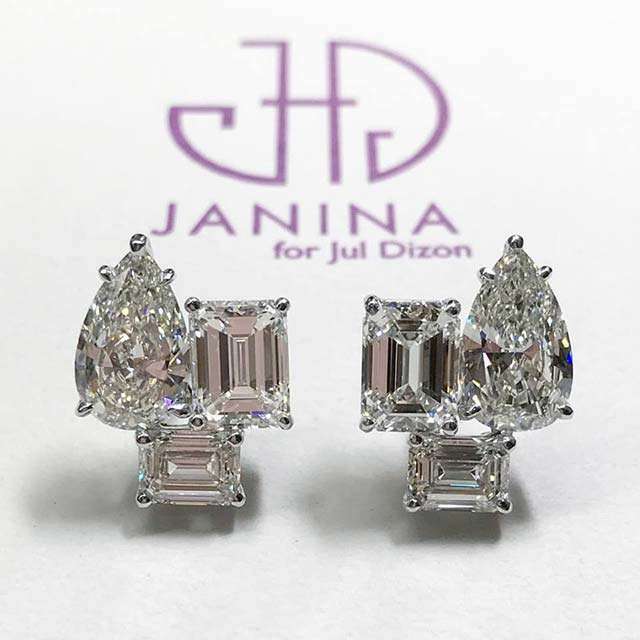 The Dekada collection will be available starting November 10 at the Janina for Jul Dizon shop in The Peninsula Manila.